Surprised by how painstaking it is to acquire English (my L2), I was initially (and I am still) interested in a mechanism of second language acquisition and chose to study Linguistics. It was when I studied psycholinguistics in my undergraduate program that I was amazed how easy it is to observe directly unobservable “language” in the mind with rather simple behavioural experiments, namely shadowing and word association (although I now see how complex "simple" experiments can be). 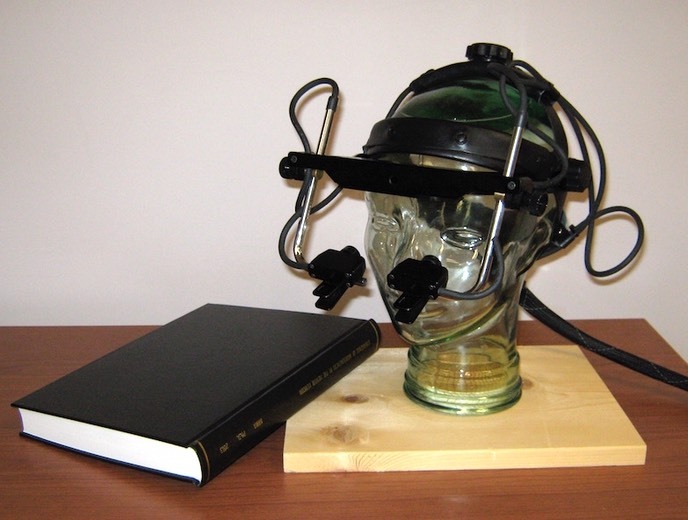 Since then, the more I saw psycholinguists utilizing various ingenious experiments to investigate different aspects of language in the mind, the more I was attracted to this discipline. My academic interests therefore reside in the field of psycholinguistcs and related fields in cognitive science. The objectives of my study are to clarify (1) how language is represented and processed in the monolingual mental lexicon, (2) how languages are represented and processed in the bilingual mental lexicon, (3) how the monolingual mental lexicon can develop into the bilingual mental lexicon, and (4) how language affects (supposedly) non-linguistic cognition. 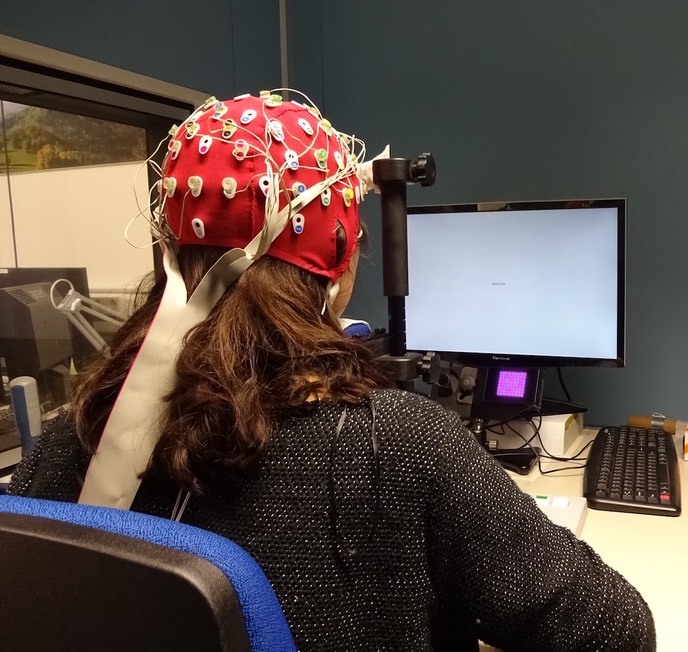 Paying special attention to lexical properties, individual varieties and task differences, I have recently enjoyed the following experimental studies. Please see the “Publications” page for the outcomes. Studies have shown that bilinguals’ recognition of a word is co-determined by its cross-linguistic similarity in orthography, phonology, and semantics, as well as its relative frequency in the two languages (Dijkstra, Grainger, & van Heuven, 1999; Dijkstra et al., 2005). However, these effects have mostly been reported for orthographically similar alphabetic languages, such as Dutch and English.The present visual lexical decision regression study with eye-tracking investigated the contribution of lexical distributional properties of simplex English target words and Japanese translation equivalents to Japanese-English late bilinguals’ reading. For these bilinguals, an early non-selective lexical access based on cross-linguistic orthographic similarity is not expected. To assess the bilingual component to reading, the same experiment was conducted using English monolingual readers. The bilinguals’ lexical decision latency and eye-fixation duration were found to be affected by cross-linguistic phonological similarity, semantic identity or non-identity, and relative L1/L2 word frequency. For both bilinguals and monolinguals, the fixation duration at a later point in time and the response latency revealed a facilitatory effect of English word frequency that was attenuated in dense orthographic neighbourhood. In addition, there was a facilitatory contribution of the contextual diversity of English words as based on film subtitles. Studies on reading directions and those on lexical processes have so far developed as distinct streams of research. A consequence is that it is still not clear whether models of morphological processes proposed by horizontal reading studies can be generalized to vertical reading. 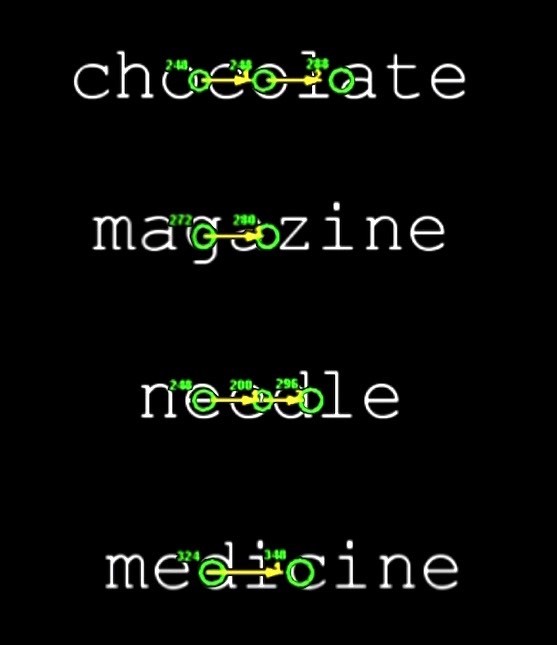 Although it is commonly believed that lexical effects reflect higher-level cognitive processes, it is not unlikely that vertical reading induces a different pattern of processing. 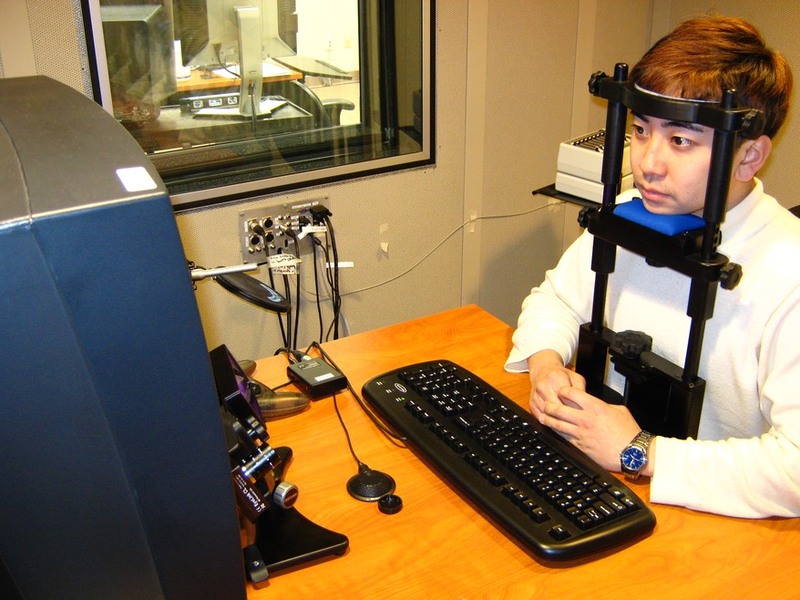 Vertical reading, for example, may motivate more holistic supra-lexical processing due to lack of horizontal eye movements. 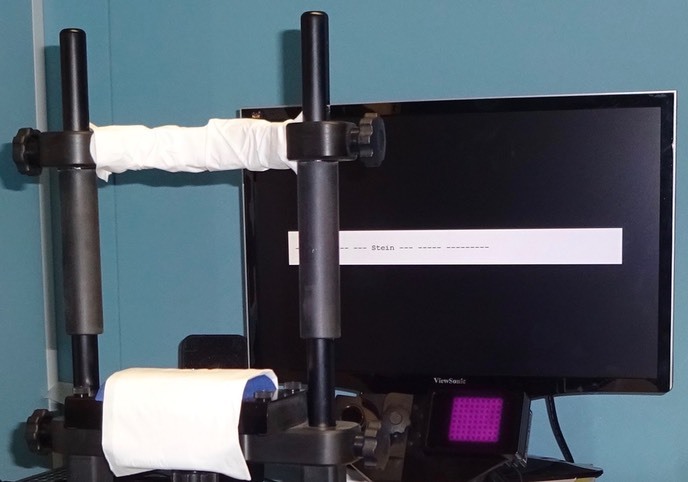 The present study investigated (1) whether there is overall processing cost for vertical reading over horizontal reading in word recognition and (2) whether reading directions (horizontal vs. vertical alignments) modulate lexical effects in morphologically complex word recognition. 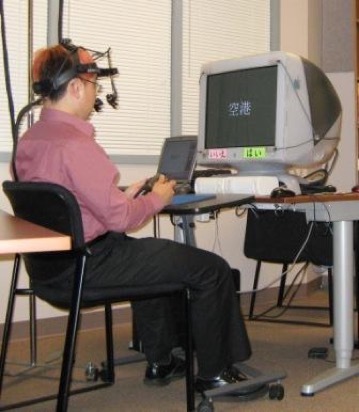 To this end, a lexical decision eye-tracking experiment was conducted with vertically presented Japanese two-kanji-character (i.e., bimorphemic) words. 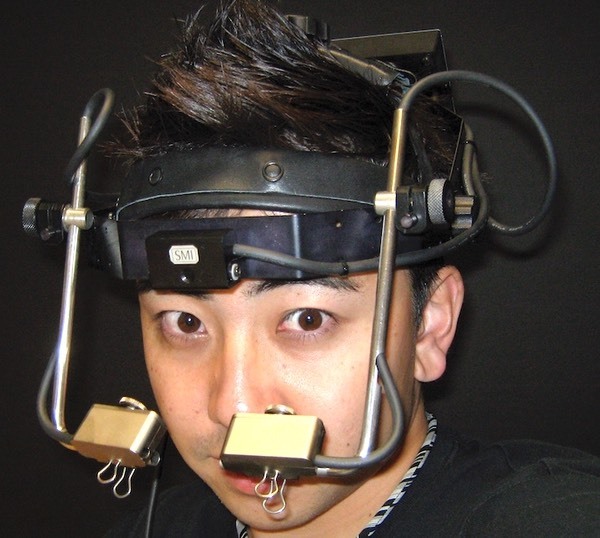 The present study investigated the time course of lexical processes in Japanese trimorphemic compound recognition. The specific questions answered in this study were, in the course of recognition of Japanese trimorphemic compounds, (1) whether branching directions matter, (2) whether the three constituents of trimorphemic compounds are equally important (perceptually and cognitively), and (3) whether the morphological processing is bottom-up.To this end, a lexical decision with eye-tracking experiment was conducted. Furthermore, conditional probabilities for characters at the first, second, and third positions were calculated based on 112,854 Japanese trimorphemic compounds, and this corpus-based statistics was considered when interpreting the experimental results. While there is a substantial amount of evidence that various properties of morphological constituents are activated in complex word recognition in alphabetic languages (Libben and Jarema, 2006, OUP), there is another line of evidence from non-alphabetic Japanese and Chinese that even submorphemic constituents (i.e., morphographic kanji and hanzi characters and purely orthographic morphemes semantic radicals) contribute to visual word recognition (Flores d'Arcais, Saito, & Kawakami, 1995, JEP:LMC; Feldman & Siok, 1999, JEP:LMC). 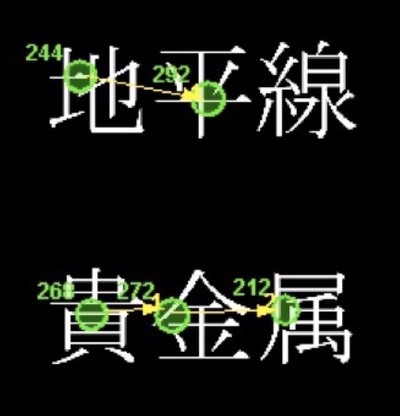 Following Kuperman, Bertram, Schreuder, & Baayen (2008, JEP:LMC) study that captured the time-course of lexical activation in Dutch word recognition with eye-tracking, we conducted a large-scale lexical decision with eye-tracking study to investigate, in the course of Japanese two-character word recognition, (1) at what point in time lexical properties at different levels of morphological structure are activated, (2) relative importance of the left and the right constituents, (3) how attention modulates lexical effects, and (4) how processing of morphographic Japanese words differs from that of alphabetic Dutch words (i.e., what is the psychological status of kanji characters and semantic radicals?). 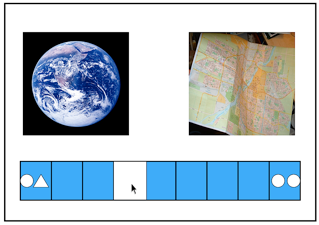 Compound words, due to their structural and functional characteristics, provided a great number of clues as to how efficiently words are represented and accessed in the mind (Libben, 2005). However, contemporary models of the mental lexicon, which list morphemes as　minimal meaningful units in their inventory, have been inspired by studies on alphabetic languages and may not be directly applicable to the non-alphabetic mental lexicon. Although the majority of psycholinguistic studies on Japanese word recognition favor the view that single kanji characters are morphographic and thus minimal meaningful units in the mental lexicon, past findings of semantic radical involvement in Japanese kanji and Chinese hanzi word recognition suggest otherwise. Given that semantic radicals are used to learn a vast numbers of new kanji characters, it is reasonable to hypothesize that semantic radicals function as organizational units in the mental lexicon. The present study investigated whether semantic radicals, generally considered to be sub-morphemic units, are processed during complex-kanji recognition, using a lexical decision with priming paradigm. Given that word translation equivalents in different languages cast different shades of meaning, Baayen and Boroditsky (2004) conducted picture comparison task to explore whether language-specific morphological structures (e.g. Dutch vrachtwagen and kinderwagen, compared to English translation equivalents truck and stroller) influences speakers of two langauge groups perceive line-drawings. Their study revealed that the degree of picture relatedness is influenced by the morphological structure of the words used to describe the drawings in two languages. Baayen and Boroditsky (2004) study provides a partial support to the Linguistic Relativity Hypothesis (LRH), which holds that the different languages people are normally exposed to influence their cognition of reality. To investigate the cross-linguistic applicability of their research, I conducted one picture comparison experiment and two follow-up experiments which investigated whether picture relatedness was influenced by different shared constituency patterns in morphology of English and Japanese and whether the deliberate word activations in the mind yield progressive faciitatory influences on picture relatedness ratings.